Folk music is about storytelling. Stories that speak to who we are. Stories about nature, friendships, relationships, love, legends. Stories that define us a community. 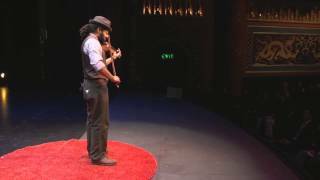 Ben Hunter, folk musician and community organizer plays his stories through music and talks about the communal role of folks music as a means to fight the growing trend of human disconnection. Benjamin graduated from Whitman College with a BA in music. With a passion for the folk culture, he has positioned his efforts around initiatives that drive that folk infrastructure. Raised in a global landscape, Ben’s teaching style embraces the diversity found in SE Seattle and he hopes to channel that combination of culture and tradition into his own style. A professional violinist/fiddler, Ben plays locally and nationally in genres of bluegrass, blues, gypsy jazz, classical, and various world styles.